Advice on navigating the maze of regulations and opposition in order to keep a project moving. Sometimes a builder has to play hardball. But then other neighbors abutting the property filed a lawsuit against the city, charging that the appeal and approval process was invalid and naming Marini’s company as a party of interest. The plaintiffs’ chief demand, among many others, was to reduce the project from eight to six units. That change wouldn’t have penciled out in terms of generating a return for Marini’s investors. A couple of months later, Marini found himself in a conference room with the neighbors and their attorney. The plaintiffs restated their demands, and Marini told them he wasn’t going to fight them anymore for a project that already was code compliant and approved. Instead, he said he would scrap that plan and build an apartment building with 12 units of affordable housing. This complex would be bigger than his original plan and would be built to the very limit of the setbacks. Best of all, Marini would be able to break ground in short order because, unlike a small-lot ordinance project, the approval process for apartment construction doesn’t require jumping through a series of discretionary approval hoops. In some locales, zoning has little meaning. Municipalities and counties have multistep processes that provide opponents with plenty of opportunity to demand what should and shouldn’t be done with property they don’t own. 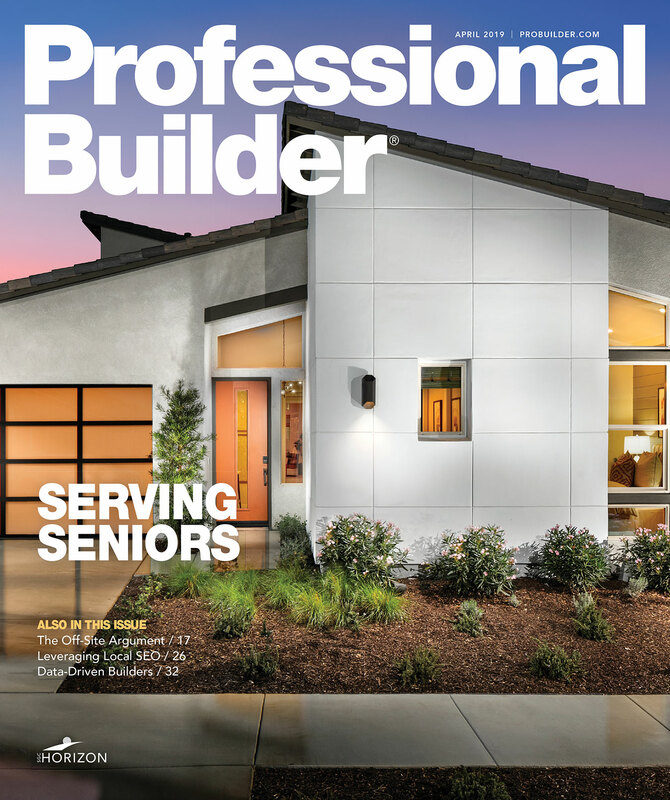 Home builders of all sizes complain that in many locales residents have a sense of entitlement to stop or alter a project just because they don’t like it, citing impact on traffic, property values, safety, character of the neighborhood, or the environment. Steven Mungo, CEO of Mungo Homes, in North Charleston, S.C., had to sit through a hearing listening to opponents of one of the builder’s projects in Charleston reminisce about trekking to and picnicking under a grand oak tree on a proposed Mungo community site. “I got a kick out of the fact that they had to admit to trespassing on my property,” he says. 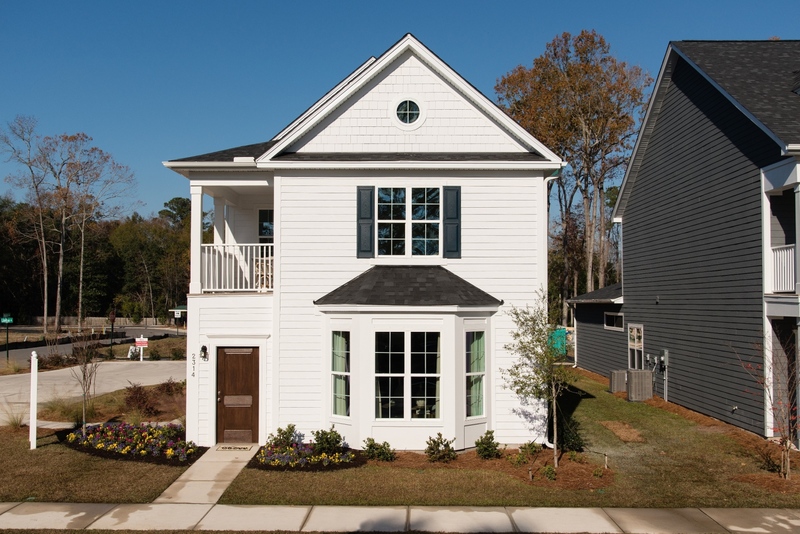 One of 109 homes in Mungo Homes’ Magnolia Bluff. Zoning was for 350 condos, but neighbors still objected to the density (Photo: Courtesy of Mungo Homes). In a classic standoff between developer and community—one with elements that evoke the Dr. Seuss story The Lorax and even attracted a tree-sitter—the Portland, Ore., neighborhood of Eastmoreland obstructed development by Portland-based Everett Custom Homes. With block after block of bucolically sited single-family homes with a median value of $761,200, according to Zillow, Eastmoreland residents complained to elected officials about density and outsiders parking their cars on Eastmoreland’s streets after a public transit station opened nearby. Vic Remmers, co-owner and president of Everett Custom Homes, in Portland, bought a double lot in the neighborhood with a century-old house that had been vacant for some time and was occasionally occupied by homeless people. Whether you’re a Housing Giant building on thousands of acres or a small builder with a single lot, count on some opposition to your project. Below are questions that should be part of your project’s site research, followed by recommendations for outreach. • What’s unique about the area? Is there historical, architectural, cultural, or physical significance? • Who are the quiet leaders of the community? Multiple bidders were competing for the property, so Remmers couldn’t engage with neighbors before buying it. After closing the sale, at community meetings he divulged plans to tear down the house and build two new homes. Some residents were cheered by the prospect of an unsafe blight being removed. But many others rushed to oppose the plan because it included cutting down three majestic sequoia trees on the border of the two parcels. Opposition quickly grew from merely the neighborhood association appealing to the city for a delay to throngs of Portlanders joining Eastmoreland residents and sneaking through temporary fencing to stand underneath the sequoias when tree removal crews arrived. Police were called to cordon off the site, but protests persisted and an environmental activist whom the protesters dubbed “Lorax Dave” climbed high into the branches of one of the 150-foot sequoias and stayed there. The standoff attracted news coverage and social media attention, some of which painted Remmers as an evil developer and the Trump of Portland. Among the voices were supportive residents and housing advocates seeking options in a growing city experiencing a housing shortage. The animosity caused the mayor to ask Remmers to delay demolition. Eventually Remmers sold the land to the neighborhood association, which intends to turn it into a public park. Despite months of rancor, Remmers says he’s still on good terms with members of the neighborhood association and has even offered to build benches, or some other infrastructure, pro bono for the future park. 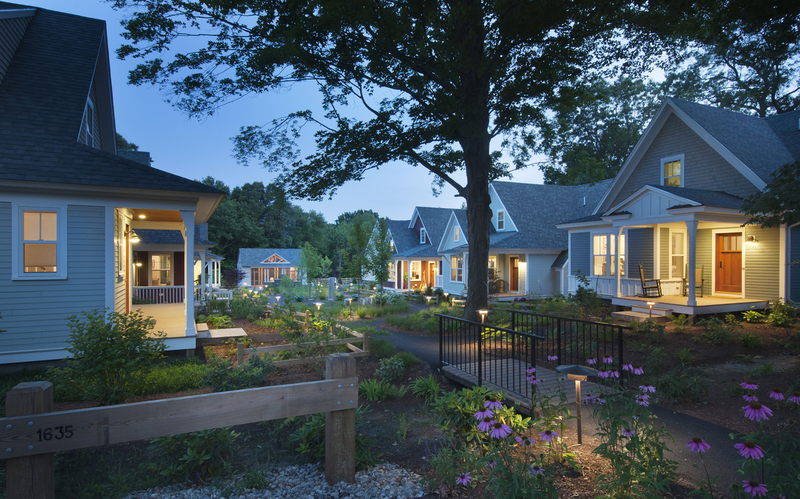 Dan Gainsboro, founder and CEO of Now Communities, in Concord, Mass., envisioned a cottage community with two- and three-bedroom homes with shared gardens, walkways, and parking. But the Boston area’s first pocket neighborhood would require getting the planning commission onboard. Neighbors voiced concerns about density, traffic, property values, and changes to their view. Having served on the planning board, Gainsboro was familiar with Concord officials. After getting the land entitled and the needed approvals from municipal boards, he reached out to the neighbors in two groups: the direct abutters and the larger group who lived near the site. Initially he wanted to engage the entire community, but his legal counsel recommended inviting the immediate neighbors to the first community meeting since the larger group could be unpredictable. Some residents from a nearby condo attended that session anyway. Gainsboro listened to their concerns and offered to meet with the larger group at their condo complex. “[Meeting on their turf] meant a lot because all they had before then was one resident’s take on the project, and he was stirring the pot,” Gainsboro says. “But as people began to see what I was willing to do, the tenor of the interaction changed.” Gainsboro also recruited Seattle architect Ross Chapin to help design what eventually became Concord Riverwalk and to present the pocket-neighborhood concept to city planners and the community. As an experienced pocket-neighborhood developer in the Northwest, Chapin had more credibility than Gainsboro in the eyes of the community. It was Chapin who showed residents that his communities—with homes scaled down and tighter setbacks—actually appreciated in property value. The pair made a case that walkable Riverwalk and its connections to public transit and downtown wouldn’t add to traffic, and Chapin explained to the fire chief how emergency vehicles could get in and out. Chapin also sat in the living rooms of neighbors and presented photos and drawings to show what their across-the-street views would look like and to prove that they wouldn’t have cars and garages bearing down on them. By the next hearing, a few neighbors showed up and spoke in support of the project. Gainsboro had taken the steam out of any opposition. Chapin later partnered with a developer where the land causing pushback from locals was a parcel that residents felt they owned, as it was part of the small town’s open space and had many trees. The developer proposed a subdivision that would have cut down many of the trees, maxed out the property with rows of houses where bedroom windows looked into bedrooms next door, and streets were lined with garage doors. Neighbors vehemently opposed the development and the zoning board rejected the plan. The developer sought Chapin’s help. Chapin suggested having the houses face a pocket park but said he wasn’t going to work with the developer until they met the neighbors. A community meeting was set at a children’s theater near the site. Chapin purposely picked a neutral location rather than city hall, which “is a space where people are sitting in front of desks or conference tables and the audience can only speak when asked. It’s too formal and sets up an adversarial relationship,” he says. About 40 people attended and were given index cards on which to write questions and comments. Chapin posted large sheets of paper on the wall labeled Concerns, Issues, Needs, and Ideas and wrote on the sheets. The group discussed. He also posted the content to a private website and invited neighbors and planning committee members to give more feedback. Next, he sought out stakeholders who didn’t attend the meeting and drew out their issues: traffic, keeping trees, the impact of construction on a well-water recharge area, and the desire for affordable housing for elderly parents and adult children. “I took that to the developer, and we came up with solutions,” Chapin says. Chapin showed sketches of site plans and housing types at public meetings rather than finished, professional-looking renderings, which could connote that the project was a done deal. The sketches were always deliberately unfinished, to reinforce that the project was a work in progress. Eventually Chapin and his client presented a plan that provided the density the developer wanted, saved most of the trees, offered a variety of housing types with enhanced buffers and walkable connections to a nearby school and downtown. The audience applauded. Not only can performing due diligence on a community identify the players and red flags, it can also reveal chances to win support. A significant component of Sara Ellis’ research is going door to door to talk to every resident abutting a development and to show them renderings of proposed properties and preliminary site plans so they can see how their properties relate to the proposed project. Often Ellis is invited to sit at a resident’s kitchen table or in their backyard to look over a zoning or site map, and she’ll use that opportunity to interview them. • Share everything and answer all inquiries—people will assume the worst if they don’t know what’s going on. • Don’t be “archy,” says Seattle architect Ross Chapin. Drop the jargon and use plain English when presenting to the public so you don’t appear arrogant or as if you’re talking over their heads. besides your project. Ken Ryan of KTGY Architecture + Planning recommends keeping the message simple with visuals and bullet points. • Sometimes when development opponents raise crime concerns or say that they don’t want “those kinds of people” in their neighborhood, they may be revealing a core fear that their property value will decline. Ellis says that fear can be turned into a logical discussion about connecting how a property improvement can raise market value. • There is the organized environmental community and then there are neighbors who cloak their objections to a development with concern for the environment. Treat the environment as another stakeholder in the room. Be sensitive and pay homage to natural resources. Ivory Crofoot, community relations and government affairs coordinator for Neal Communities, in Lakewood, Fla., has sat in many a neighbor’s kitchen, stood on their deck to check out their view and monitor construction noise, and even met on walking trails to get ideas for adjusting the trail map so the paths are less invasive for nearby residents. Crofoot provides her phone and email contacts at all meetings, so it’s not unusual for her to start her workweek with more than 30 emails, voicemails, and texts from neighbors with questions regarding a particular development. If your project is facing extreme NIMBY pushback and environmental criticism, Ryan of KTGY suggests trying to at least neutralize the other side by cultivating as many supporters as there are opponents. Loud voices and opposition leaders may not represent the majority. A tactic he uses to find quiet supporters amid loud opposition at a public meeting is interactive audience polling and instant displays of the vote tally. Someone who favors a high-density project with attractive amenities may be unlikely to take to the microphone in a large group and say so. But they can click a handheld device to vote when asked during a presentation whether they like the project.